I last shared my favorite restaurants here and thought I would add some more! 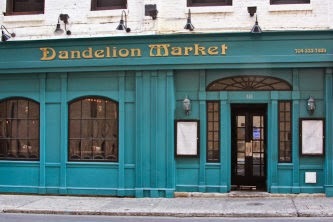 Dandelion Market: I love their food for dinner! I haven't tried lunch or brunch, but it is on my list. It is an awesome place to go with a group and order lots of different dishes to share. We went Saturday night and the upstairs was packed with bachelorette parties, I've also been there for a bachelorette party! 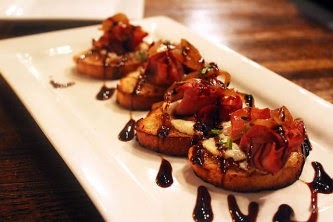 Tons of small plates to share! 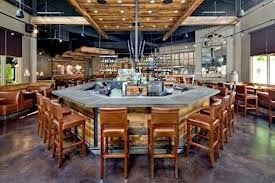 Wolfgang Puck Pizza Bar: When they first opened, Dave and I went every week. Finally had to cut back some! The bartenders are great- always friendly. On Fridays they have half priced champagne, and you know I love that! Roosters: This place can get a bit pricey, but it is worth it! Dave and I typically share a meat and a couple of sides. Sometimes we will each just order 1-2 things for ourselves as a meal. Everything is a la carte. We like to sit at the kitchen bar and watch them cook- definitely makes for a fun dinner! 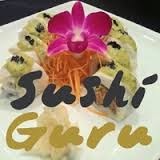 Sushi Guru: This place is right next to Roosters. The atmosphere isn't as fun as Roosters or other places. But is a great sushi place! Small, intimate and great rolls. Anyone in Charlotte tried those? Any other suggestions or favs?! Y'all really have some great restaurants in Charlotte. I'm heading there in a few weeks so I'll keep this post in mind! 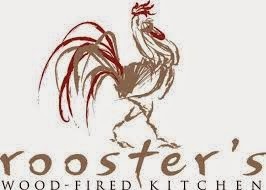 We love Roosters (and my husband loves Sushi Guru but he's never taken me)! I love Roosters mac and cheese and spinach - it's my favorite place to order spinach. 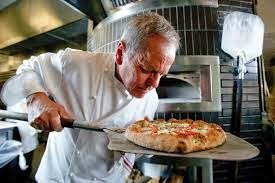 I would love to try Wolfgang Puck's restaurant! I miss the pizza place he had at the Promenade! They had the best bbq chicken anything, and the best butternut squash soup! These all sound delicious! We haven't been to Charlotte in years but it's still one of my favorite cities.